my problem is, i can not find the Action Trigger: "Unit order to Move or Attack to Region". 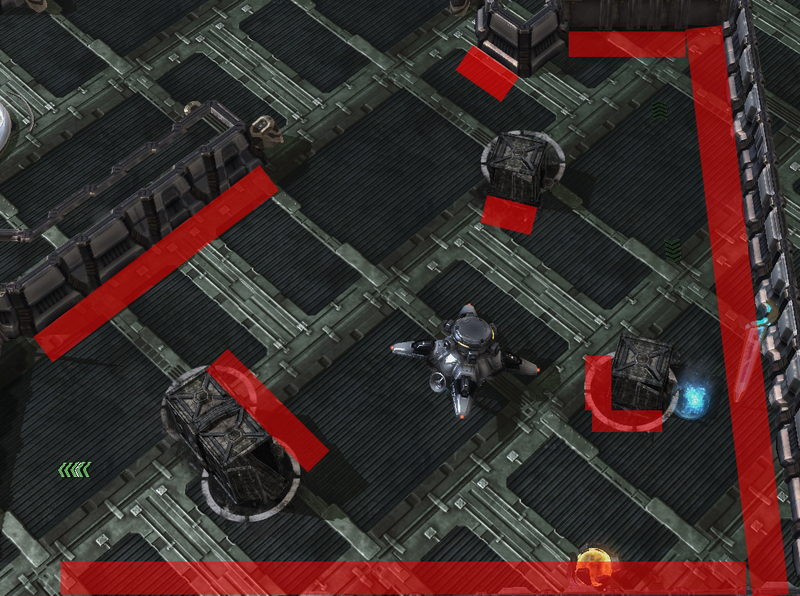 It's very important for my Starcraft 2 Arcade Map. I need help. I Create a "Escape Map". You create the appropriate order (point target order) and then issue that order to your unit. 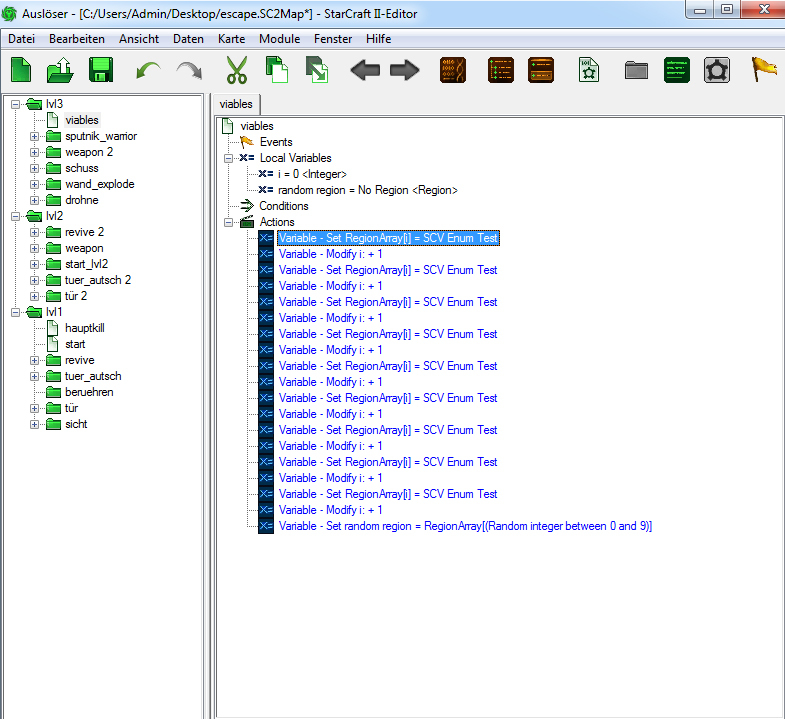 Same works in GUI as well. Be aware that the issue order to unit action defaults to a non-point order type for its order argument. One can change that to a point order and select orders such as move or attack. Yes! i found it!. Thank you very much! move my unit to a Region. It's working. Which makes it so, my unit randomly attacks 10 random regions. He randomly chooses a region from 10 (Random). Do you understand my basic english? Place your 10 regions in a region array size 10, starting with index 0 and running up to index 9. You can then get a random region by using the variable with a random inclusive integer between 0 and 9 as the array index. This solution is extremely efficient and if you define a constant for the array size it can be very easy to add or remove regions as required. catch my picture in the attachment. You see the red regions? The Driode shoots 2 rockets per 1 second (period/ interval). They explode when touch the "walls". (red regions). Can you take some pictures? If you still do not understand variables I recommend reading about them on Wikipedia or any other programming resource site. Thank you for your shot answer. So, i did it. See this picture on the attachment. Galaxy variables work very much similar to Java or any other programming language variable.